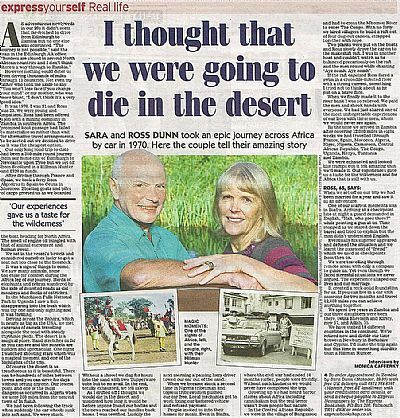 From the publisher Troubador.co.uk: "In 1970 newly-weds Ross and Sara set off, with extraordinary naivety and a lack of proper preparation, to drive from Edinburgh to Zambia in a standard saloon car. 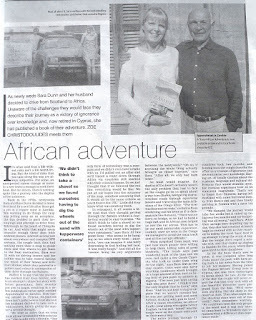 Appointment in Zambia is the story of their epic car journey. Sara was 21 (and could not drive) and Ross was 23 when they and their brand new Hillman Hunter (in ‘Golden Sand’, a colour chosen before they’d opted to drive through the Sahara...) started out. For eight weeks, in a trip of over 20 000 kms, they slept in the car, coped with illness and looked up the barrel of rifles from the wrong end. Apart from the car their only technology was a compass." 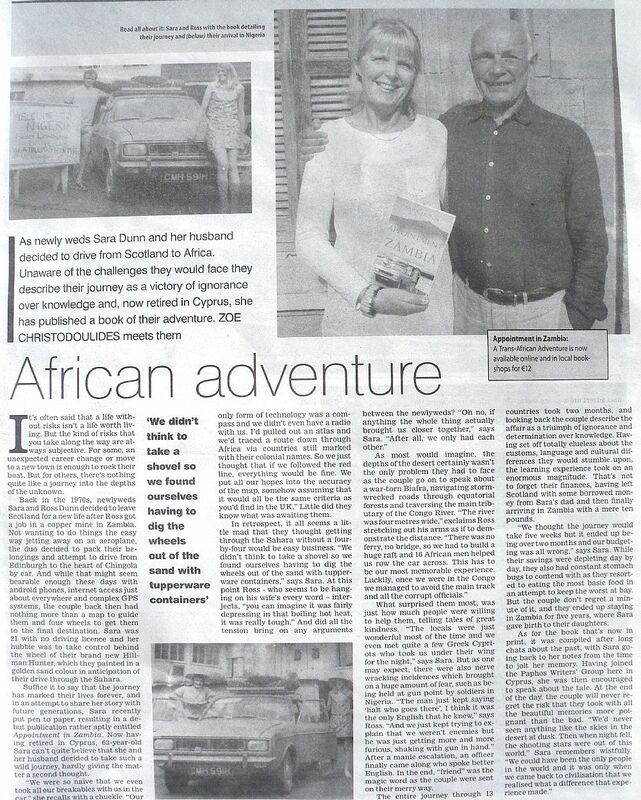 The book is available from their publisher, and from Amazon. That's crazy! I love overland stories, I may have to check this one out. Hope all is well in Tehran.